← Can a Bishop Forbid a Priest to Say Mass? 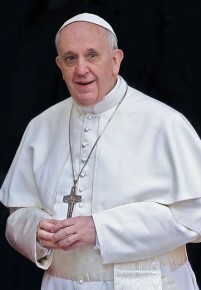 A: It certainly was horrifying last Christmas to see the film footage and hear the screams of the crowd, as a 25-year-old woman with a history of psychological problems somehow managed to scoot past the entire papal security team and grab hold of Pope Benedict, ultimately pulling him down to the floor. It’s entirely natural for us to want to see her punished, simply as a matter of justice. After all, physically harming the Vicar of Christ is no small matter! One might not expect there to be any mention in church law about such a specific and unusual crime, but in fact there is: canon 1370.1 states that a person who uses physical force against the Roman Pontiff incurs excommunication. On the face of it, therefore, it would seem that the story ends there. In the case of the young Italian woman who jumped the Pope at Midnight Mass, she has already been in and out of a psychiatric hospital on more than one occasion. It seems pretty clear from the news reports that she has less than full command of her faculties! Thus it’s a fairly safe bet that while she did technically commit a crime to which the penalty of excommunication is attached, she is in fact not fully culpable for her actions. 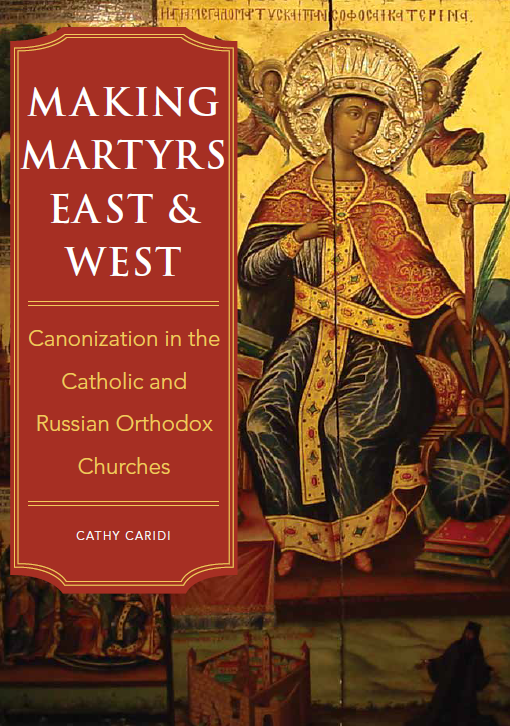 Up to this point we have been talking about sanctions under the Code of Canon Law. But Andrew’s question actually brings up a separate issue. News reports have indeed indicated that the young woman will be tried in a Vatican court. Yet this is a civil issue, rather than a canonical one. Vatican City is an independent country, the smallest in the world. Anyone who has visited Rome knows that it requires absolutely no effort—and certainly no passport!—to walk in and out of Saint Peter’s Square, but when people do this they are in fact crossing the border between two countries, Vatican City and Italy. The Vatican has its own flag, its own post office, its own military, and until it joined the Euro Zone it also had its own currency (which happened to have the same valuation as the old Italian lira). Since the country is so tiny, it has an agreement with Italy that gives the Italian police the right and responsibility to maintain order in Saint Peter’s Square itself; but inside Vatican buildings, visitors are subject to Vatican City laws. Those buildings, of course, include Saint Peter’s Basilica, where the Pope was attacked, and thus the young woman was arrested and charged under Vatican City laws—not under canon law. Canon law governs the Catholic Church as a whole, and as such binds all of us Catholics, no matter where in the world we live; in contrast, Vatican City law in this case is roughly akin to our U.S. state laws against assault and battery. See the difference? In other words, one could conceivably be arrested in Vatican City for a traffic violation, or disorderly conduct, and be tried under their criminal justice system—without there being any corresponding violation under canon law. In actual fact, there are very few crimes, or even sins, with a corresponding sanction in the Code of Canon Law. Theft, for example, is often illegal and obviously sinful at the same time, but normally there are no canonical penalties attached to it. If a penitent confesses the sin of theft in confession, a confessor will undoubtedly assign some sort of penance to atone for such an act; and if the same person is arrested and convicted of theft, he will certainly be punished in criminal court. Neither case, however, necessarily involves a canonical penalty. At the same time, there are some crimes in the code for which the sanctions can be extremely severe, but there is no penalty whatsoever under civil law. As was discussed in “Can a Priest Ever Reveal What is Said in Confession?” a priest who violates the seal of confession is subject to some of the harshest penalties the Church has to offer (c. 1388.1)—but there is certainly no corresponding crime under civil law for which he can be arrested! So what will happen to this mentally disturbed woman who physically harmed the Holy Father? Well, under canon law, nothing. Mentally, she is so obviously unstable that she cannot be held accountable for her actions. Under Vatican City laws, however, we’ll have to wait and see what happens to her. But given that the Pope himself, who is of course the supreme head of this little country, has publicly forgiven her, it’s rather difficult to envision her receiving any serious punishment. This entry was posted in Crimes and Sanctions, The Pope and tagged canon law, Catholic, excommunicate, excommunication, Pope. Bookmark the permalink.